Desi Smith/Staff Photo. 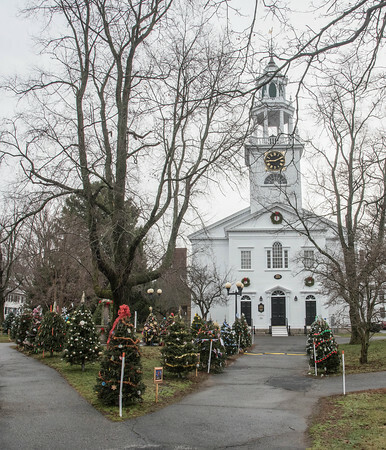 Christmass tree’s decorated by local business and others line the walkways leading to the First Parish Church in Manchester Thursday morning. December 23,2015.